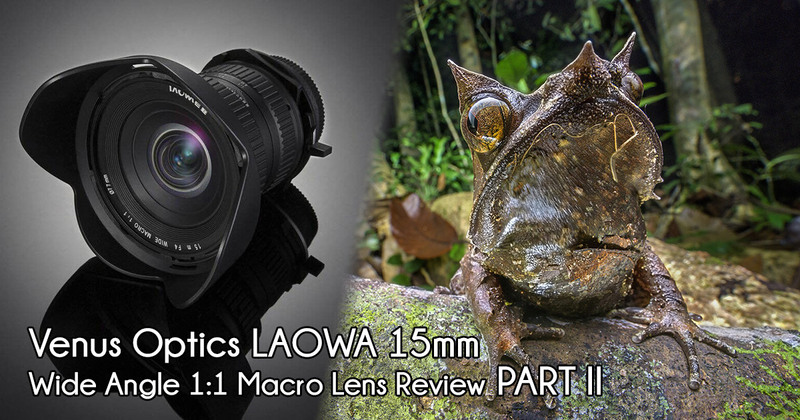 Last month, I posted an initial review of the Venus Optics LAOWA 15mm f/4 1:1 Wide Angle Macro Lens based on a quick test run. 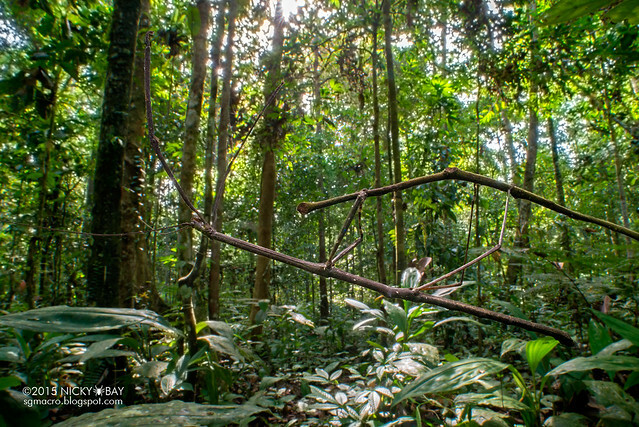 There were admittedly limited subjects to show how this lens would excel in, so I brought it to the tropical rainforests in my recent Borneo Bootcamp to try the lens out! A simple post-processing tutorial to reduce chromatic aberration is also discussed in this post. After the trip, I loaned the lens to established landscape photographer friends to test the lens and review its performance as landscape photographers. This post is more of a showcase of photos produced from this lens. If you are looking for a detailed review on the key performance elements, please visit the original lens review instead. All macro photographs in this post were shot with lens hood removed and aperture set at F/22, which I deemed to be the optimum aperture without diffraction setting in. However, F/32 might still be worth experimenting further as I realised that my previous tests at F/32 could have been MORE than F/32 as the aperture could turn beyond F/32. All shots were made on Nikon D800 in full frame mode and uncropped. Readers of this blog may order the lens via venuslens.net and use the discount code SGMACRO to get a 5% discount off the launch price of $479USD, inclusive of international shipping. This discount code is valid until 31 August 2015. 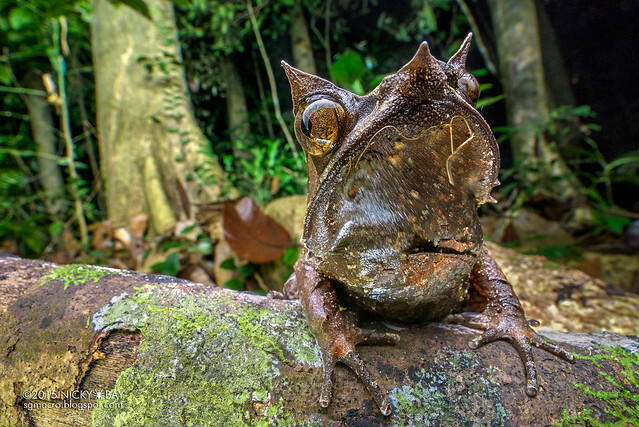 Shot in West Malaysia, this frog was about 4cm wide, shot at about 2-3cm away from the lens. As it was shot at night, the background was light-painted with a torch while the frog was lighted with a single diffused flash. The 15mm wide angle allowed a uniquely distorted perspective at extreme close ups. 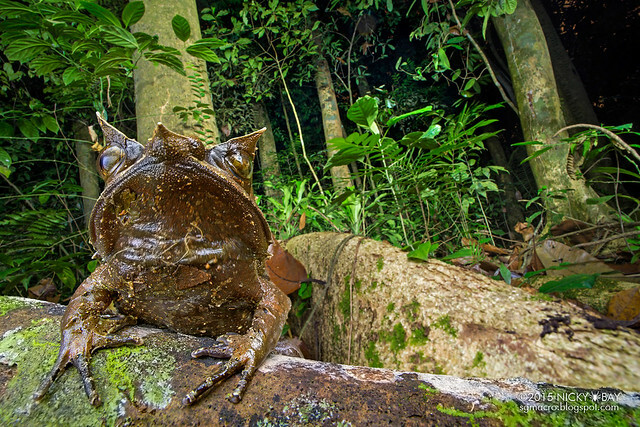 I experimented further by stacking 2 photos to get more details in the background, creating an illusion of a giant frog in the forest. Realistically, the background should not be overly sharp so this shot is not ideal. 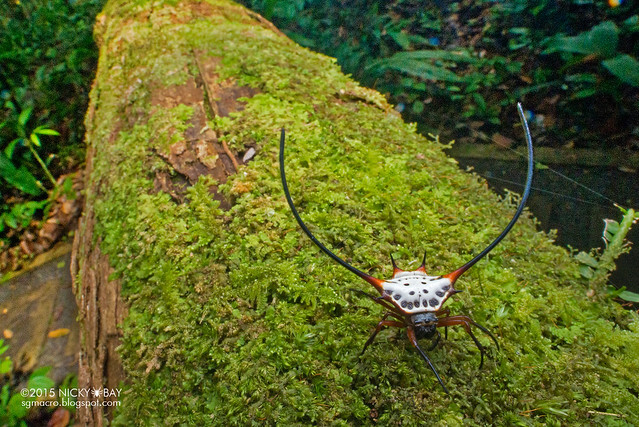 At the recent Borneo Bootcamp, we found a beautiful white morph of Macracantha and set it up pointing the camera towards the sky. This tends to highlight the chromatic aberration with strong contrasts between the foliage and the sky. The blue fringing is obvious especially in the top-right corner. Another view of the same spider. The background is exceptionally noisy as this photo was handheld and originally underexposed. 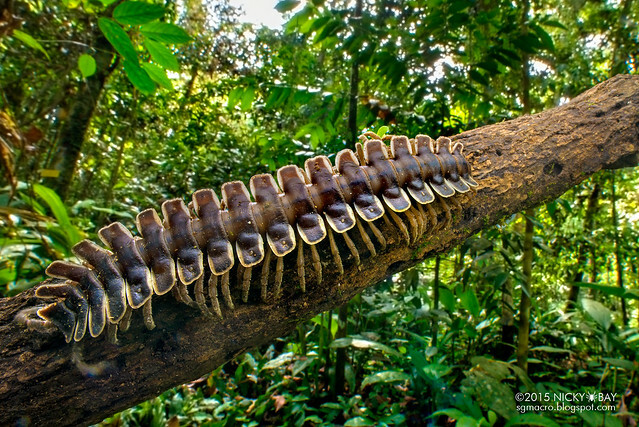 This flat-backed millipede was slightly over 2 inches long (remembered wrongly at 4 inches in my original Facebook post) and an excellent example of using the wide-angle perspective to make the millipede look like a giant alien creature. Many had commented that this looked like a spine with legs. 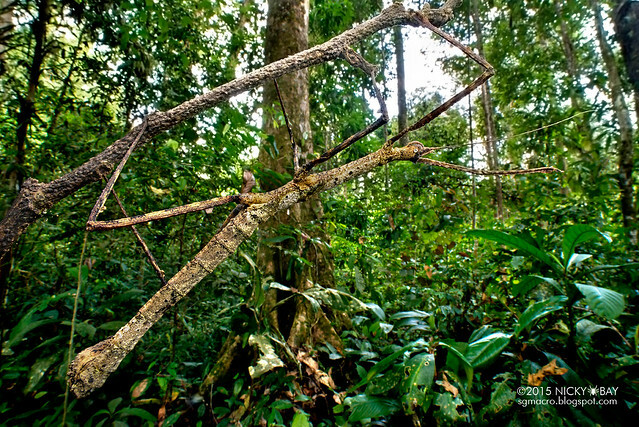 It is generally not easy to shoot compelling photos of stick insects with a wide angle lens, as they tend to be too skinny to occupy much of the frame. This shot highlights its typical camouflaged pose. Another stick insect but slightly "thicker" than the previous one. 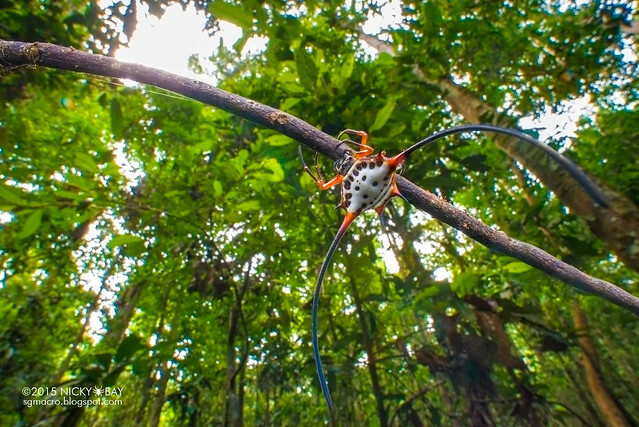 We should normally avoid pointing the lens into the sky through foliage due to the high contrast, but these stick insects are almost always hanging upside down! Chromatic aberration can be reduced in post processing via many different methods. Adobe Camera Raw has a colour correction option (Lens Correction -> Color) that fixes most of the CA. Here's a manual technique using Adobe Photoshop. The photo above shows the result after less than a minute of touch up. 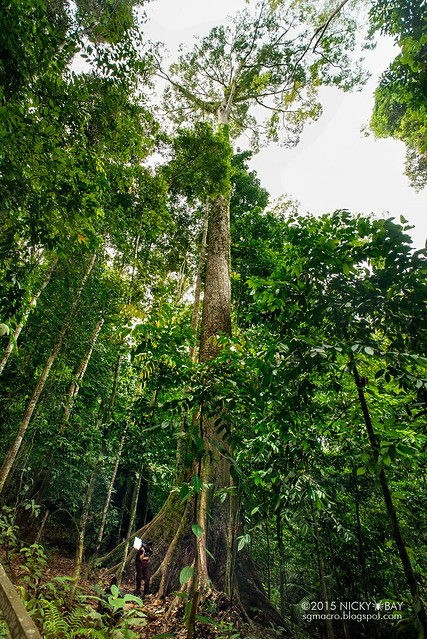 I managed to attempt some handheld shots on the world's tallest tropical tree at 88m tall. 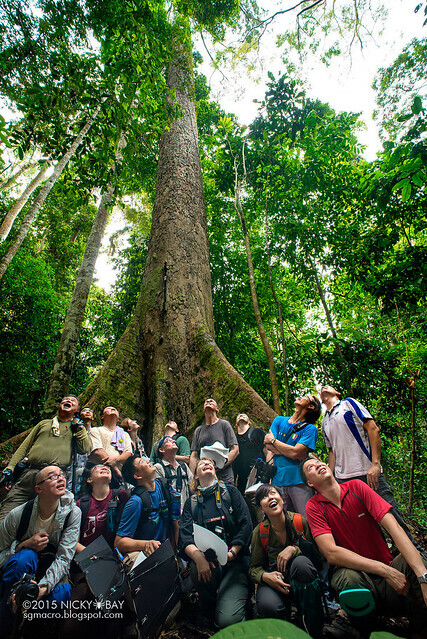 The 15mm lens works well for group photos too, we managed to squeeze all participants of the Borneo Bootcamp into a portrait orientation from about 5 meters away. Earlier this month, I loaned the Venus 15mm to some established landscape photographers in Singapore to bring this lens out for a joyride. 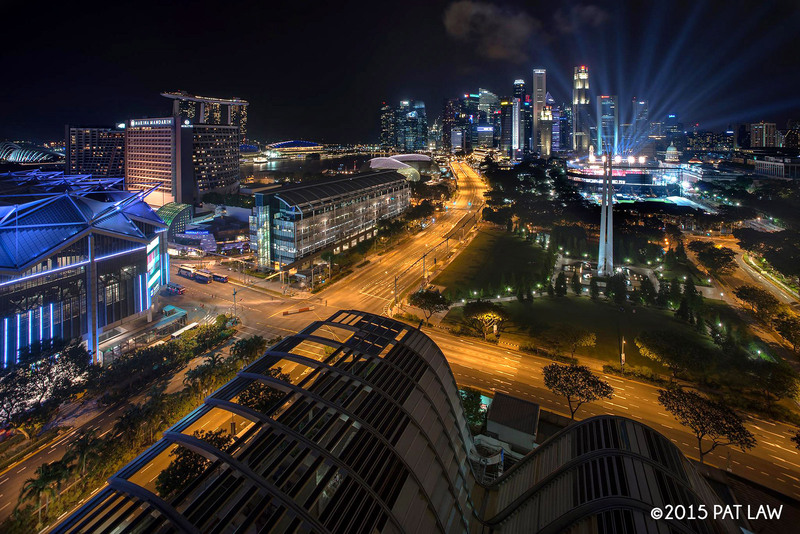 This image was shot on the Nikon D800, F/11, 15s shifted down by 4mm. The verdict? Distortion noted as expected in ultra wide lenses, but very sharp throughout with no chromatic aberration nor colour cast at F/11. With the image quality and shift capability, it is a lens of excellent value for money. 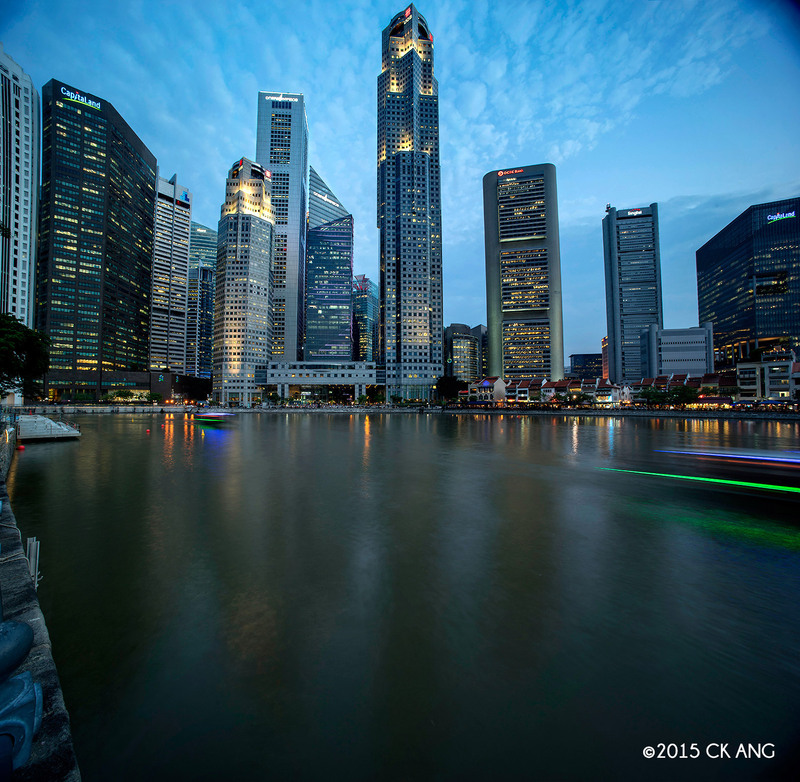 A vertical panoramic attempt from 3 shots was made with the lens shifted up by 4mm. Despite the obvious vignetting on a full frame camera, image quality is good. For both macro and landscape photography, the Venus Optics LAOWA 15mm f/4 1:1 Wide Angle Macro is a very strong contender for a permanent spot in your camera bag. It beats other wide angle macro options with its flexibility to focus from 1:1 to infinity while maintaining good image sharpness. 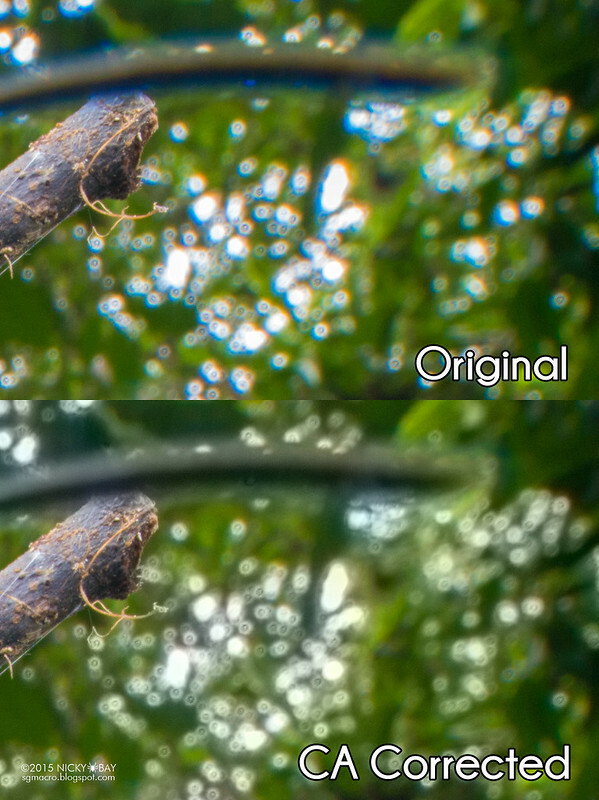 Chromatic aberration can be distinct in certain situations, but is easily corrected in post processing. The shift capability is definitely a plus point for landscape shooters, while I don't foresee myself using it in macro scenes. Shooters used to autofocus and automatic aperture control will find it difficult to get used to this lens but once mastered, there is no other lens to equal its capabilities. At a launch price of $479USD inclusive of international shipping, it is a good value for money lens. Readers of this blog may use the discount code SGMACRO to get a 5% discount from the purchase of this lens at venuslens.net. This discount code is valid until 31 August 2015. Please leave your comments below should you have any questions regarding this lens and I'll be happy to answer them.